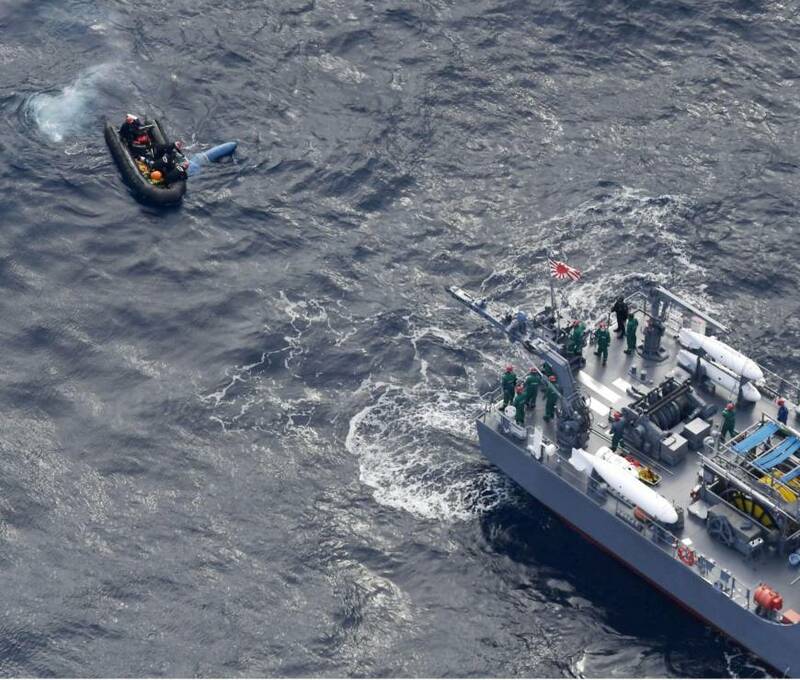 Rescuers on Wednesday said despite finding three helmets, none of the four crew members had been found at the site where an Air Self-Defense Force helicopter crashed the day before in waters off Hamamatsu, Shizuoka Prefecture. 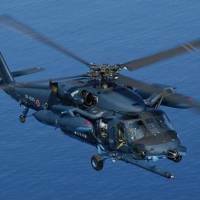 The UH-60J helicopter disappeared from radar at around 6 p.m., 10 minutes after it took off, when it was flying over the ocean some 30 km south of the coast of Hamamatsu. 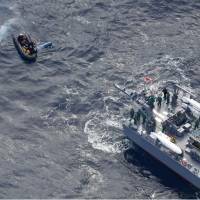 ASDF helicopters and Japan Coast Guard patrol ships were taking part in the search for the missing crew. “The helicopter seems to have crashed,” Defense Minister Itsunori Onodera told reporters, noting that what appears to be debris from the aircraft was found floating on the surface of the ocean. A helicopter door with kanji reading Koku Jieitai (Air Self-Defense Force), a stretcher and a fuel tank were discovered around the suspected crash site. The UH-60J belonged to the Air Rescue Wing unit at the ASDF’s Hamamatsu Air Base. Aboard the helicopter were Maj. Akihiro Hanafusa, 42, its skipper, a copilot, a search and rescue member and an engineer, according to the ASDF. There was no radio communication or chatter that suggested the helicopter was in trouble or having mechanical difficulties, ASDF officials said. The Air Rescue Wing conducts search and rescue operations in the event of disasters and accidents involving Self-Defense Forces aircraft. The UH-60J, capable of seating up to five people, has a range of about 1,300 km and a maximum speed of about 265 kph. The helicopter is equipped with an infrared night vision system and weather radar. On May 15, an LR-2 liaison and reconnaissance aircraft of the Ground Self-Defense Force crashed into a mountain in Hokkaido, killing all four crew members. 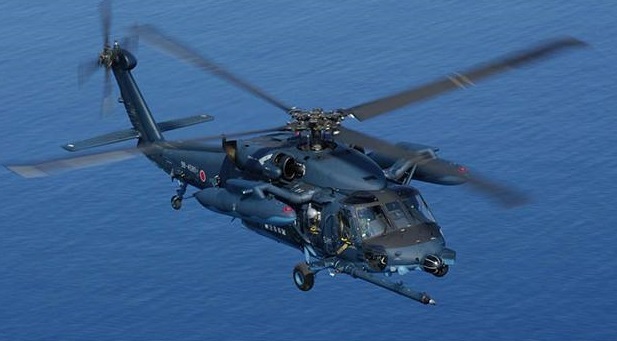 An SH-60J patrol helicopter belonging to the Maritime Self-Defense Force crashed into the sea off Aomori Prefecture on Aug. 26, and three of its four crew members were lost. Human error was deemed the probable cause of those two crashes, because the plane and the helicopter apparently had no mechanical problems, according to the Defense Ministry.